Hillary Clinton is now on Twitter. Yesterday she unlocked her account and unveiled a cheeky and impish personality. In her 160-character biography written under a thumbnail of her riding on a military transport plane as secretary of state, she referred to her various jobs--from first lady of Arkansas (FLOAR) to senator and secretary of state--and then called herself a "hair icon," "pantsuit aficionado," and "glass ceiling cracker." It could have ended there on a note of winning self-deprecation, but it didn't. Referring to her future, it simply said "TBD ..."
If Hillary Clinton is preparing to be a modern mash-up between Clare Boothe Luce and Eleanor Roosevelt, this is a smart start. * She could adopt the voice of her Twitter biography and crack wise and entertainingly about the issues she cares about. But if redefining the role of elder-stateswoman is not her intent and that "TBD ..." was a flirtation with speculation about her presidential hopes, perhaps she should step away from the keyboard. It's too early. Until this moment, Clinton has been able to keep the irritating "will-she-or-won't-she" guessing game about her future presidential chances at arm's length. I thank her and America thanks her. It's only been one year since the idiotic veepstakes speculation and the stomach is still sensitive. The implicit hope (a foolish hope, I grant you) was that in exchange for Clinton dismissing the speculation about her future for the parlor game that it is, she wouldn't go ducking behind the ottoman and start playing peek-a-boo. Now she seems to be winking at her future candidacy, which is only going to encourage more speculation and diminish her ability to demure. If this is the start of a Dance of the Seven Veils that precedes a future run, it seems awfully early. Voters could get sick of an extended, coy routine because at its heart, this kind of teasing is dishonest. If you're going to play games, Twitter is the right place for it. The social network has devolved into something between the parlor and the school playground. During the 2008 campaign, it was a venue for unpredictable and electric political information. Like a fledgling low-cost Iowa campaign, there was an unpredictability and genuineness to it. Now it feels as though every day Twitter becomes an ever more perfect distillation of all that is wrong with our political conversation. It's a freak show full of manufactured opinion, fake outrage, gaffe chasing, and all in an arid context-free vacuum. Partisans and insiders splash around in bile while talking past each other. Hillary Clinton will have to join this world if she wants to be a candidate. She, better than anyone, knows that you have to play the game. But she also knows, better than anyone, about how vicious the feeding frenzy can be. Had Twitter been around during the Clinton years the paint might have actually peeled from the White House columns under the vicious heat. Why would Clinton want to join the game sooner than she must? One reason could be to take control of her image. 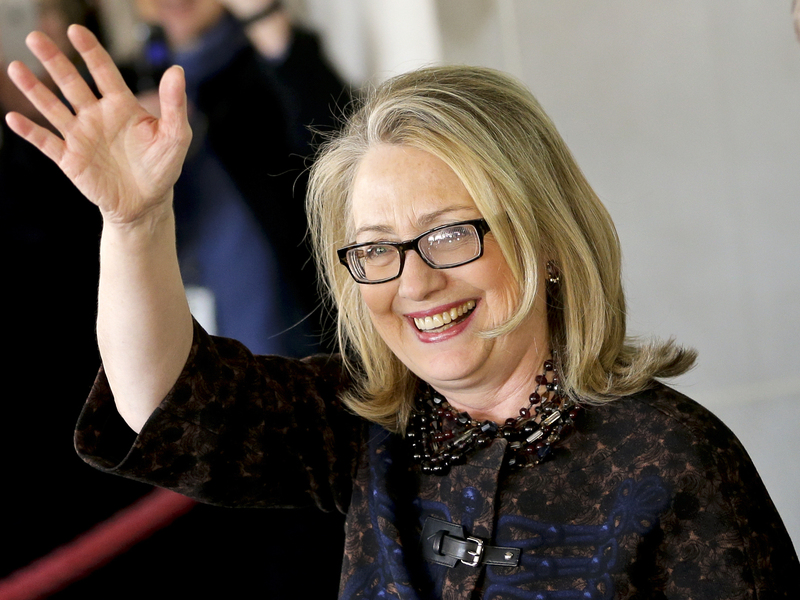 At the moment it isn't just being shaped by speculation about her presidential future. Now is a good time to find a way to remind everyone of the boss-Hillary pictures. The image of world-beater-Hillary is better for her future, whatever it may be, than the combative-Benghazi-hearings-Hillary or the Hillary Clinton whose State Department is accused of covering up reports that members of her security force solicited prostitutes while on official trips and engaged in sexual assault. The political benefit of a Twitter account seems very much up for grabs. Every candidate has a media consultant who convinces them they must be on Twitter, but the uniformity of this advice means almost every account has an embedded flaw: Each is a perpetual inauthenticity machine. Twitter gains its power from connections to the authors. Learning about Patrick Stewart and his pizza habits draws his fans closer, offers the uninitiated an amusing entry into his career, and gives everyone not in those two categories a smile. No politician, or more precisely no politician's staff, dares risk too many of the kinds of admissions and revelations that would create enduring connections. This tension between authenticity that voters find attractive and calculated authenticity meant to dupe voters has bedeviled candidates for several cycles. Twitter accounts pretend to be authentic when in fact they are mostly the same committee-generated pap that we're already neck-deep in. They are like the photo-op at the local beer hall that has become a campaign ritual. An authentic picture of the candidate with a beer would be grainy, shot late at night in a hotel room after six rallies, and feature the candidate struggling to pop the top of a minibar Heineken on the laminate hotel room desk. Put that on Instagram. The challenge for all politicians is highlighted in Clinton's first Tweet. In it, she nods to the creators of Texts from Hillary, the viral Tumblr that imagined the messages Clinton might be sending powerful people around the world. These imaginary texts were printed over the picture that Clinton has now chosen for her Twitter avatar: a picture taken on a military transport flight in which she looks in command of things. The meme was perfect Internet: authentic, spontaneous, funny, and limited. After a run of just a week, the authors Adam Smith and Stacy Lambe stopped the gag. It was in every way the opposite of what a Twitter account created to flirt with a presidential campaign will be. But let's not overdo this exercise in goading Clinton into being more interesting, honest, and accessible than most politicians with something at stake. Who knows what she will do with this new venue. She's only published one little item. Perhaps she might break from the depressing trend and create a voice that is both authentic and politically self-serving. It's all TBD.